Above freezing temperatures and solar radiation has transformed the snowpack on Mount Shasta. Warm days and cold nights have given us several days of a melt-freeze cycle. Below treeline, expect moist to wet conditions during the warmest periods of the day. You'll encounter slow snow on skis and postholing if you are in boots. Near treeline, firm snow softened by the sun can create ideal spring-like ski conditions if your timing is right. Noon to 3 p.m. might be that time. Surfaces are wind textured on ridge-tops and other open, exposed areas, but at least as many smooth areas can be found. 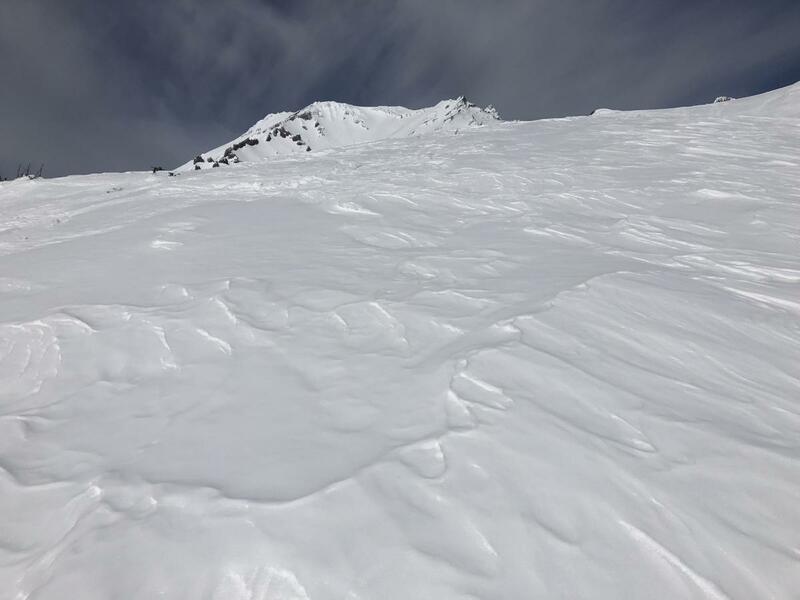 Above treeline, above 10,000 feet, snow surfaces become more firm. There have been almost no signs of wet-loose releases or falling rime ice. Temperatures high in the alpine are just not getting warm enough. Cool breezes, too, are keeping the snow pack near and above treeline from getting too soft. Below treeline, particularly below Bunny Flat, some roller balls and breaking road-cut cornices have been seen. Generally, a stable snowpack exists on Mount Shasta. Ski penetration near treeline: ~ 1 in. Wind textured snow surfaces in exposed areas, smooth in others.